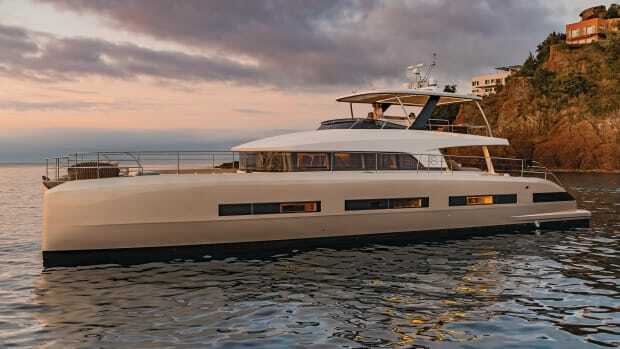 Whether you’re looking to enjoy a short stay on the water or plan to cruise the seas for weeks, the newest build from Sanlorenzo offers contemporary accommodations and convenient amenities. 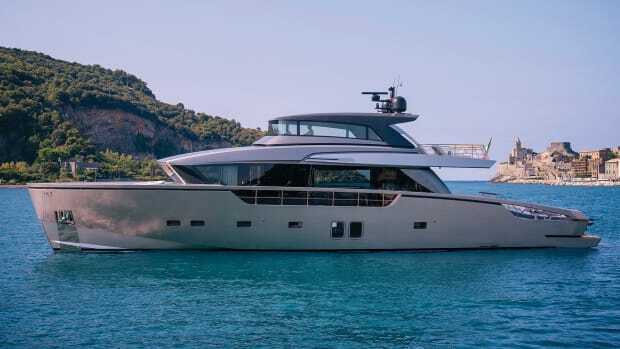 A modern take on a cruising yacht, the Sanlorenzo SL94 adds new styling elements and innovations to traditional design. 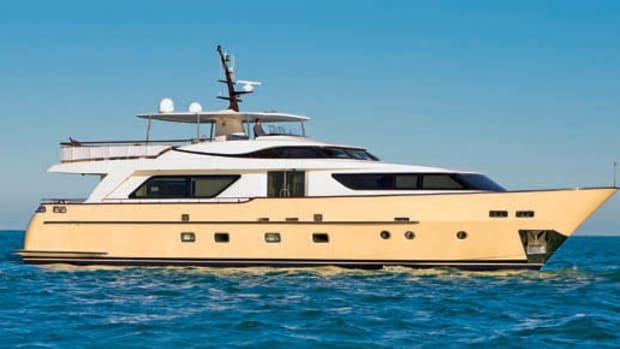 Distinctive exterior elements of the SL94 include rectangular portholes, wide windows at the main deck, and powerful uprights supporting the aft part of the top deck. On that level, the SL94 offers two options: a hard-top covering a portion of it or a soft top with a radar arch. The SL94 doesn’t skimp on ergonomic innovation, either. 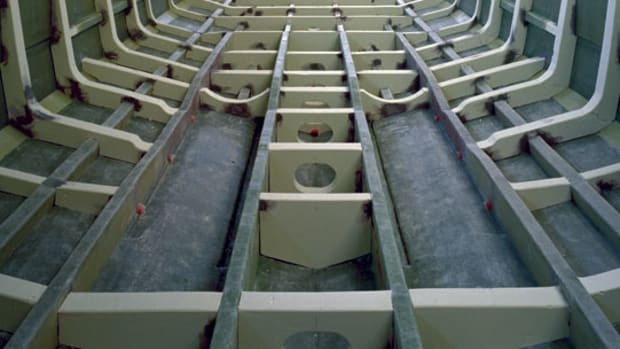 The stern is equipped with a roomy garage hidden within the transom. 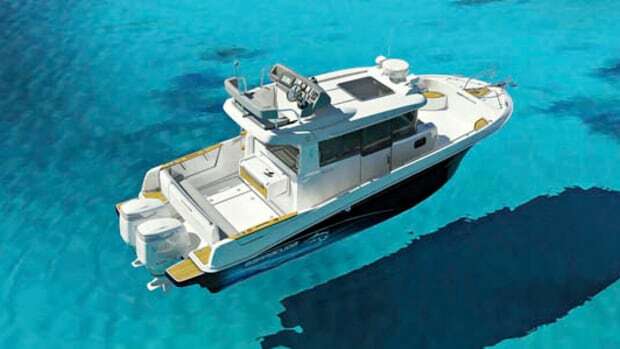 Here, passengers can store all their water toys—including a 15-foot tender—without losing valuable deck space. 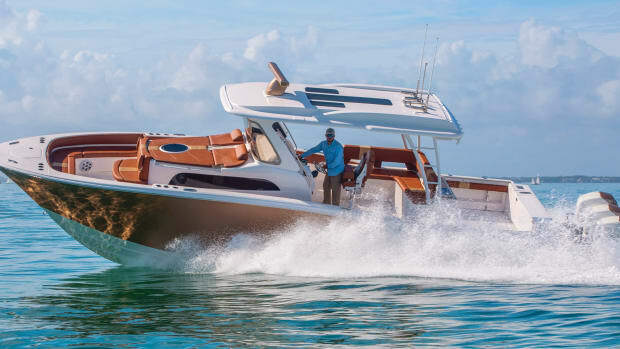 The 94’s also equipped with a hydraulic swim platform, which moves up and down to assist guests in and out of the water and allow for easy unloading of toys. The SL94 offers two different options for power. The first option is two Caterpillar C32 ACERTs; with 1,890 horsepower each, they reportedly grant the SL94 a top speed of 31 mph. 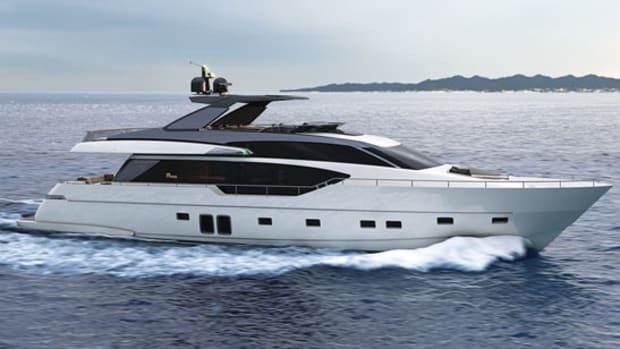 The other power option includes twin 2,100-hp MTU 16V 2000M92s that Sanlorenzo says gives a top speed of 33 mph. The interior, designed by Francesco Paszkowski, features open spaces throughout. The large saloon on the main deck includes wide windows and is separate from the dining room. The galley, also on the main deck, is positioned forward. 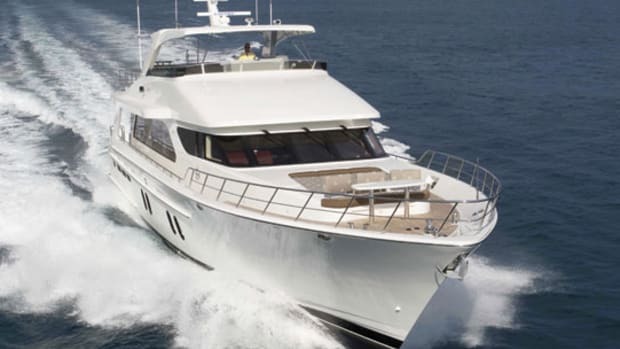 The lower deck of the SL94 has a more classic layout, with the owner’s cabin amidships, a VIP cabin forward, and two additional twin-bed guest cabins. The owner’s cabin in particular is an airy space, with a roomy shower and vanity area. 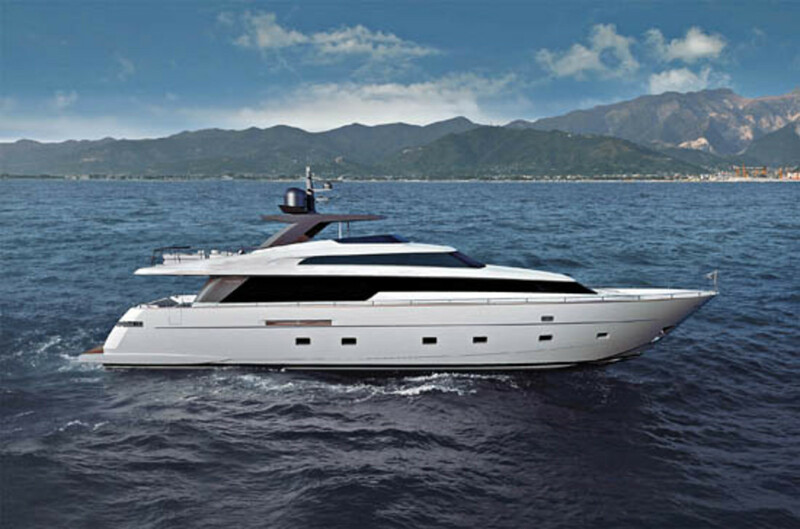 Many of the transformations seen throughout the SL94 are inspired by elements in the recently released Sanlorenzo 104. 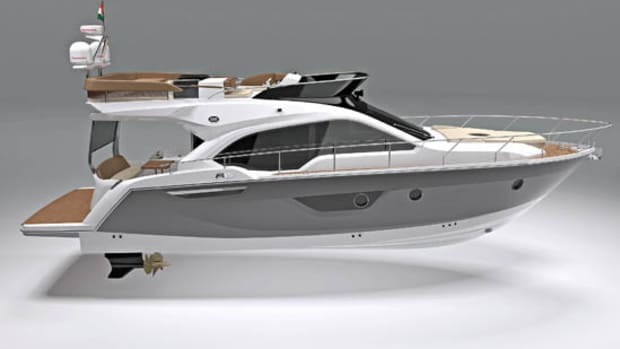 Both vessels are from the Ameglia shipyard, which is synchronizing traditional yachting elements with technological innovations while creating the SL94.